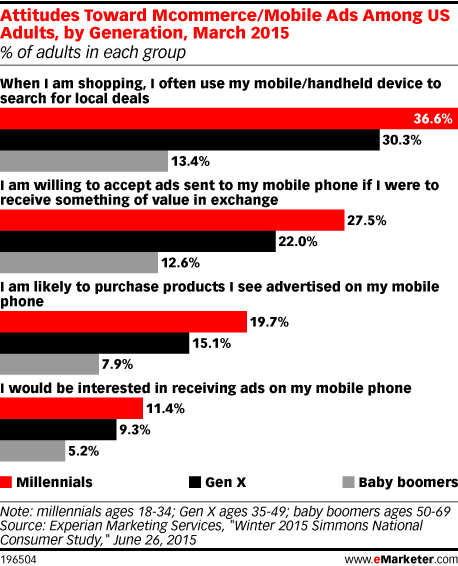 Data is from the June 2015 Experian Marketing Services "Winter 2015 Simmons National Consumer Study." 28,869 US consumers ages 18+, of which 11,163 were ages 50-69, were surveyed during February 4, 2014-March 11, 2015. Phase 1 consisted of either a telephone placement interview or a mail-based recruitment questionnaire to obtain the household's participation in the survey. Phase 2 involved mailing self-administered survey booklets to eligible household members.